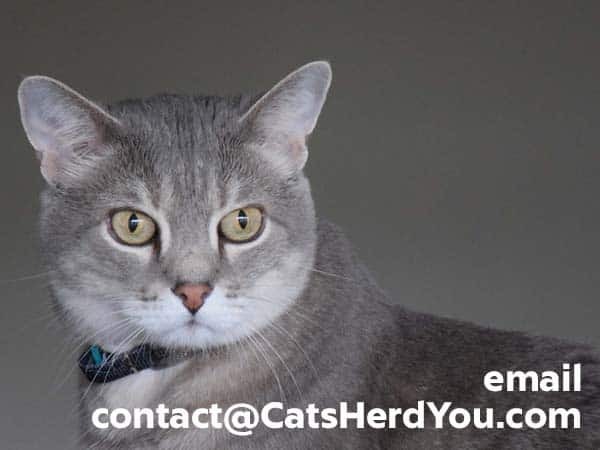 Thanks for your interest in Cats Herd You! Our engaged readers are interested in pet-related products and topics, and you’ve come to the right place to reach them through our young and growing blog. We would love to talk to you about advertising, product review, or giveaways that will put you in front the customers you’ve been looking for. We accept forms of cash advertising, sponsorship, paid insertions or other forms of compensation. However, we won’t promote a product or service that isn’t a value to our readers. We won’t advertise or promote products we haven’t tried ourselves or would not use ourselves. Any products we receive we have gotten free of charge and at no personal cost. Every piece of content has financial impact. Every piece of content in this blog may be used to promote products, services, and affiliate businesses.